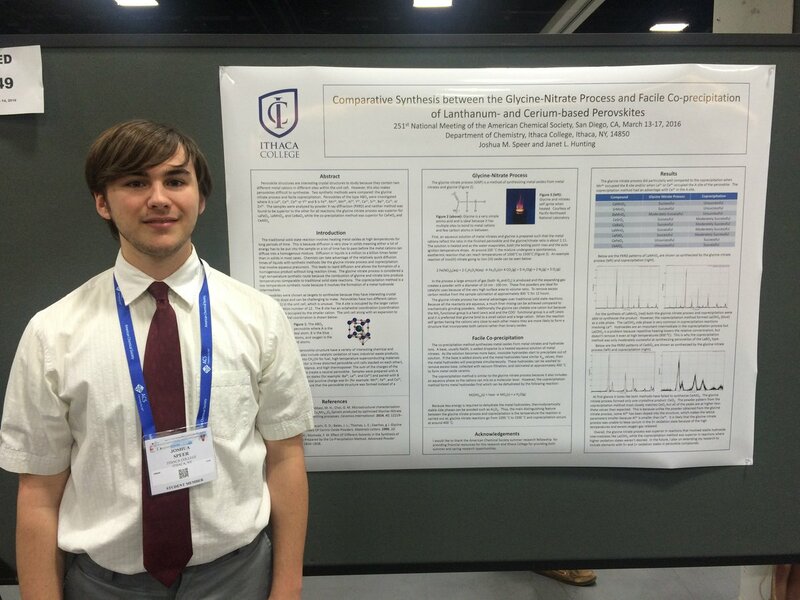 Our student researchers presented their work at the 251st American Chemical Society National Convention in San Diego, CA in March 2016. 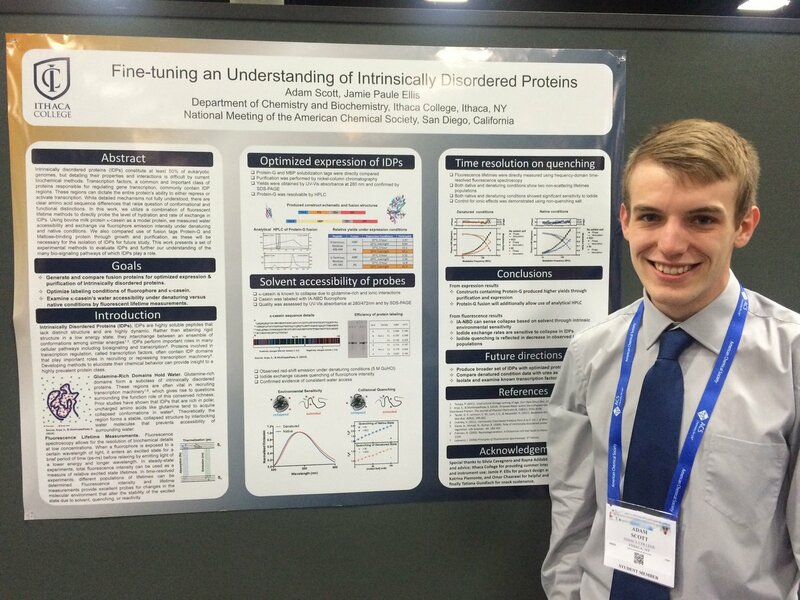 Adam Scott presents his research poster. Benjamin Morse presents his research poster. 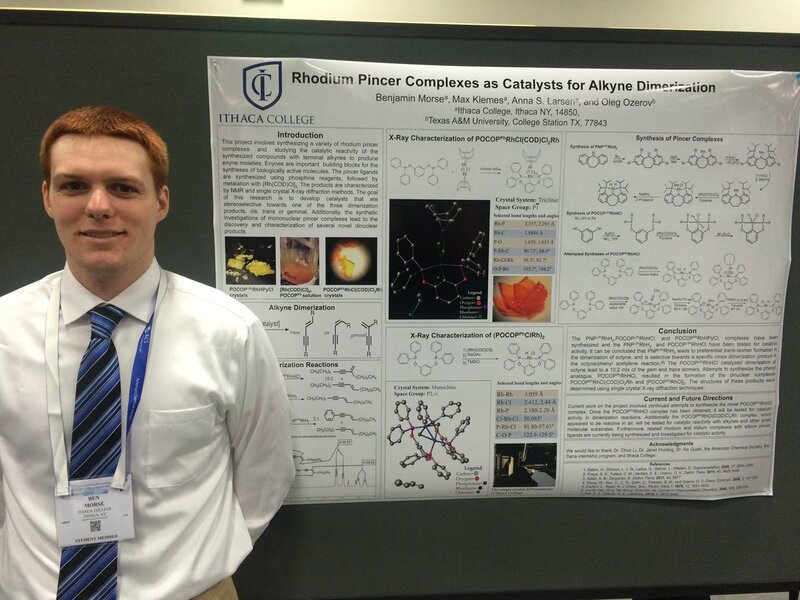 Jameson Martin presents his research poster. 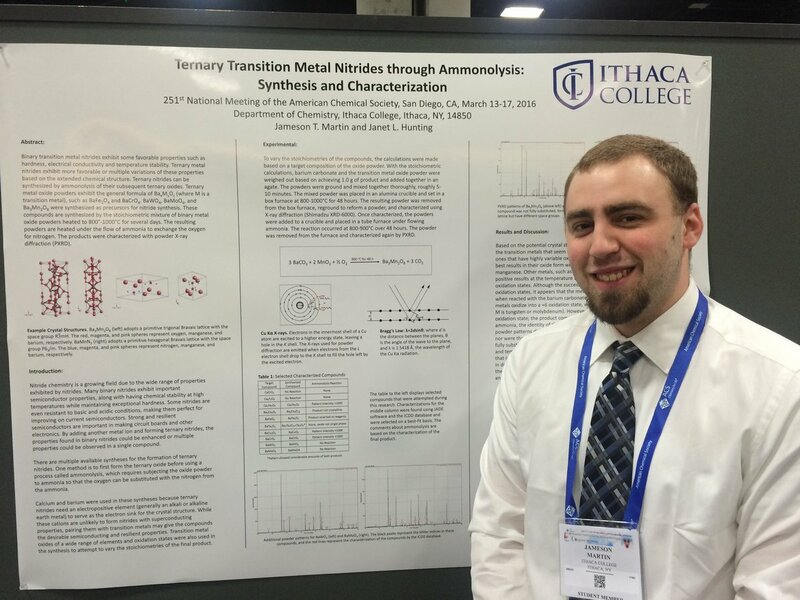 Joshua Speer presents his research poster. 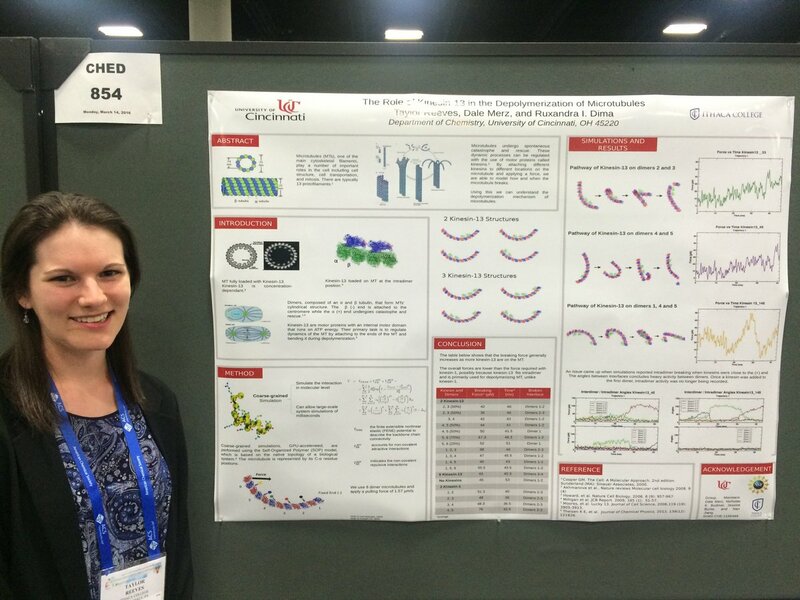 Katrina Piemonte presents her research poster. 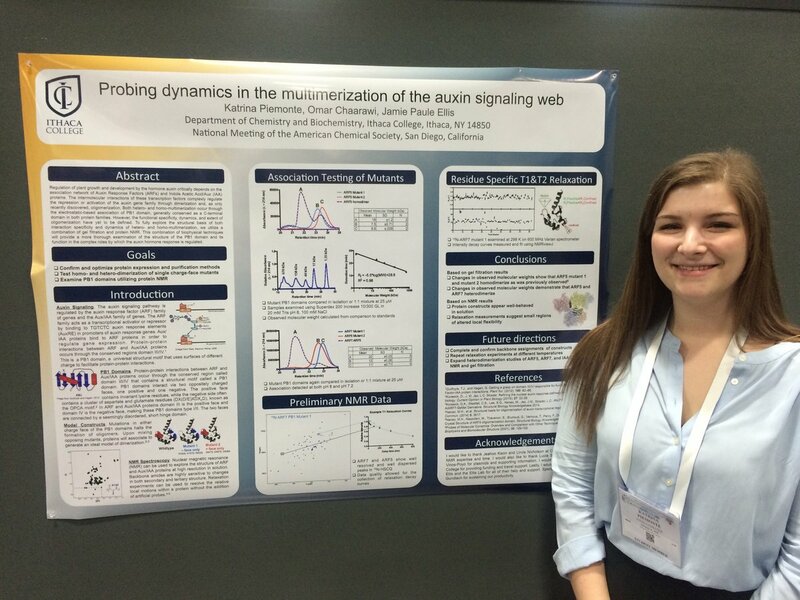 Megan Wirth presents her research poster. 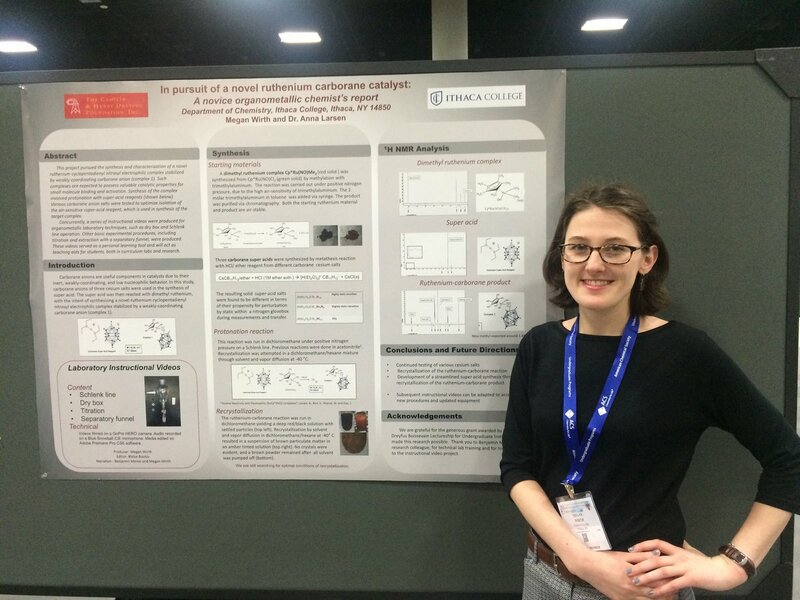 Taylor Reeves presents her research poster. 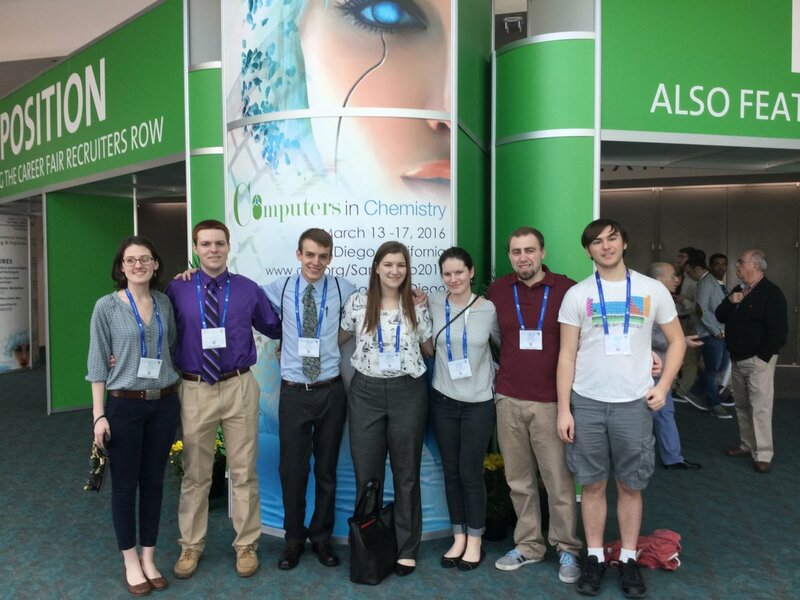 The whole group arrives at ACS!